T.S. Elliot. 11. Conversation Galante I OBSERVE: Our sentimental friend the moon! Or possibly (fantastic, I confess) It may be Prester Johns balloon Or. 2 11. Conversation Galante I OBSERVE: Our sentimental friend the moon! Or possibly (fantastic, I confess) It may be Prester Johns balloon Or an old battered lantern hung aloftTo light poor travellers to their distress. 5 She then: How you digress! And I then: Someone frames upon the keys That exquisite nocturne, with which we explain The night and moonshine; music which we seizeTo body forth our own vacuity. 10 She then: Does this refer to me? Oh no, it is I who am inane. You, madam, are the eternal humorist,The eternal enemy of the absolute, Giving our vagrant moods the slightest twist! 15With your air indifferent and imperious At a stroke our mad poetics to confute AndAre we then so serious? 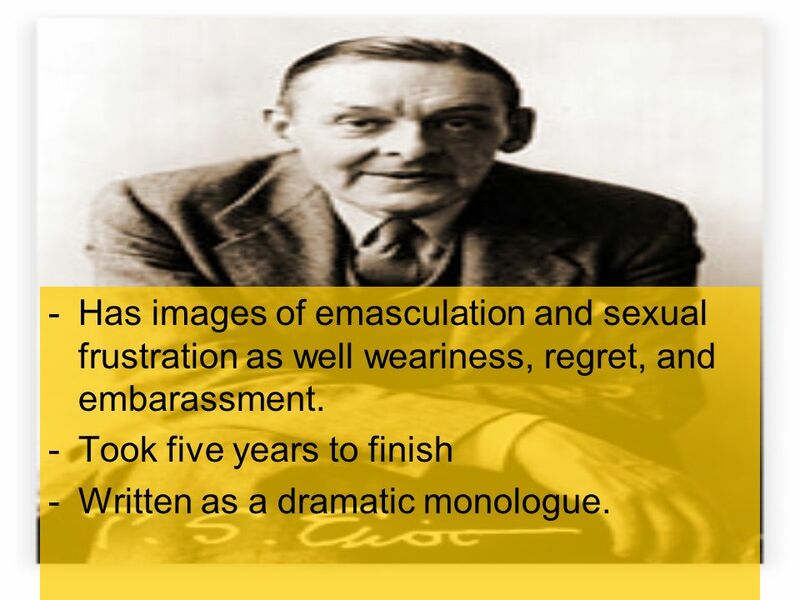 5 -Has images of emasculation and sexual frustration as well weariness, regret, and embarassment. -Took five years to finish -Written as a dramatic monologue. 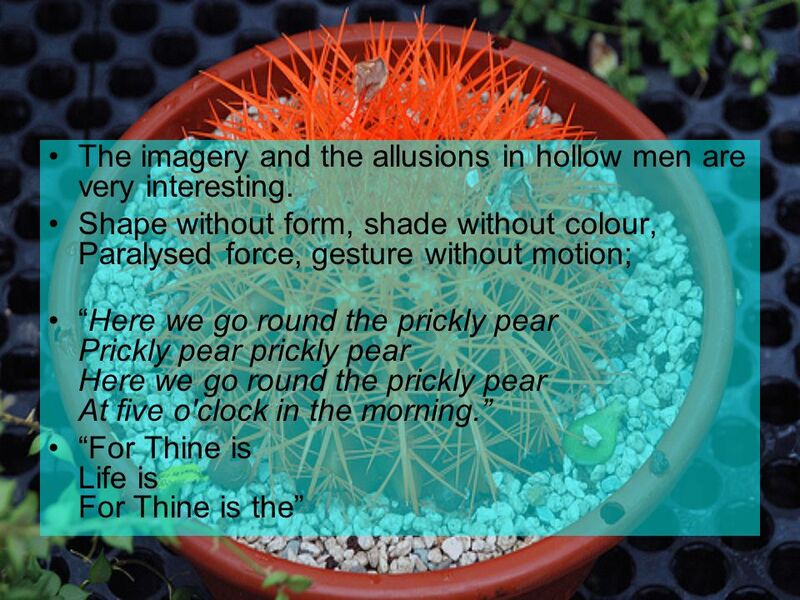 7 The opening of the poem is a reference to guy fawkes. 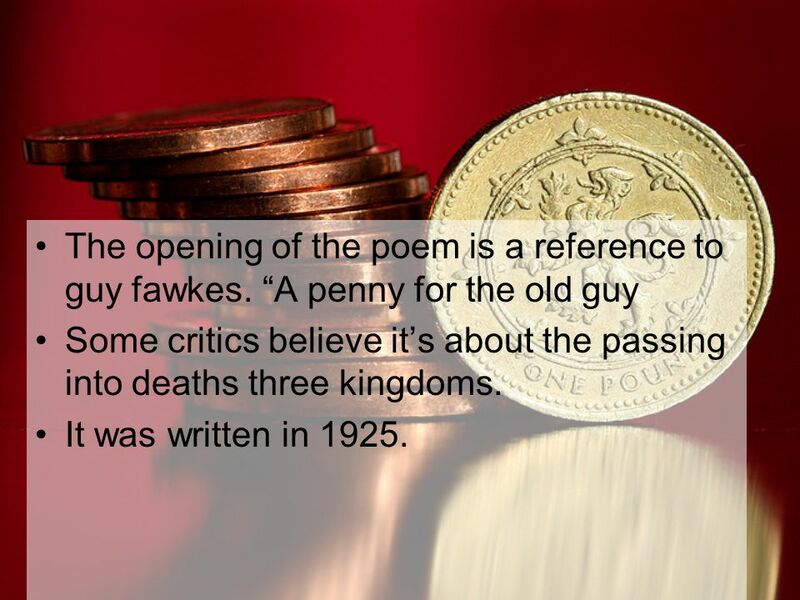 A penny for the old guy Some critics believe its about the passing into deaths three kingdoms. It was written in 1925. 10 T.S. 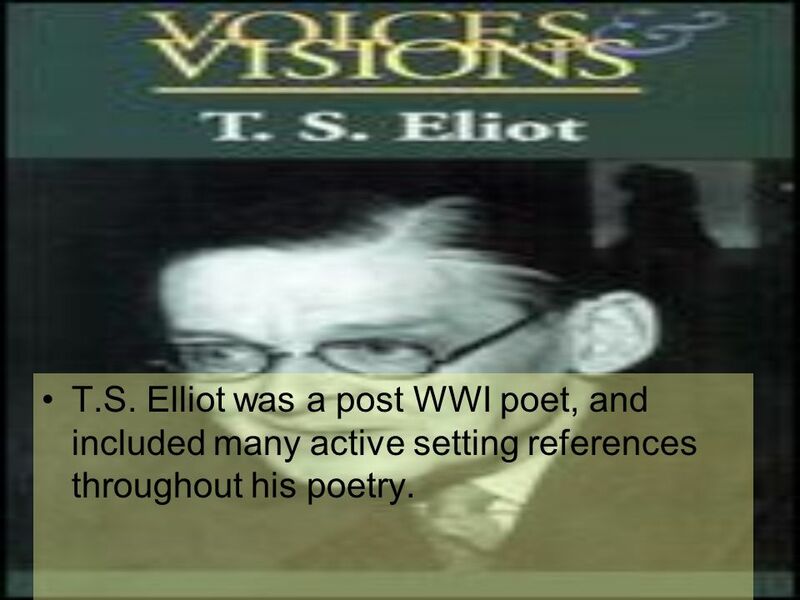 Elliot was a post WWI poet, and included many active setting references throughout his poetry. Download ppt "T.S. 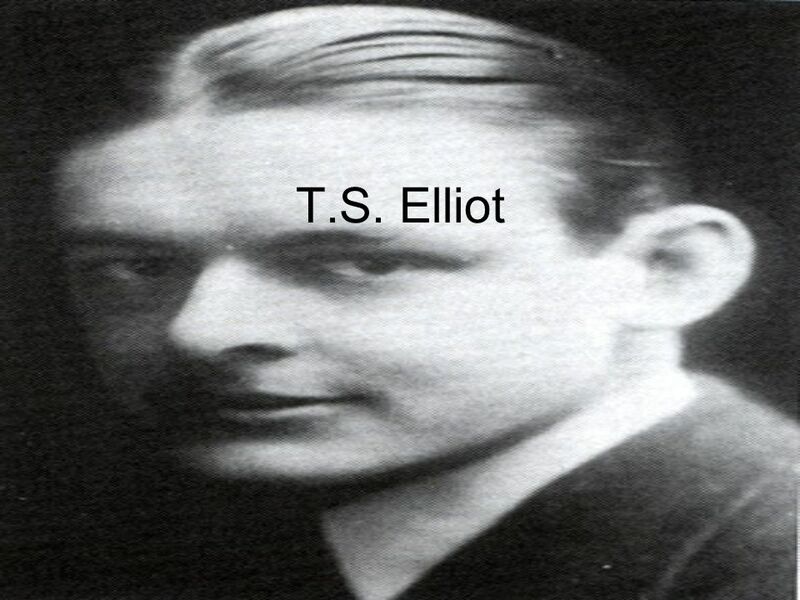 Elliot. 11. 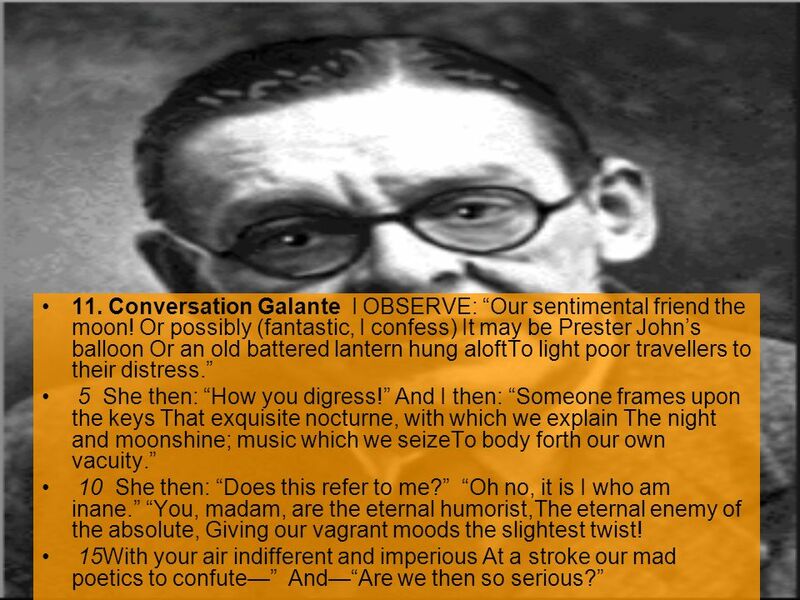 Conversation Galante I OBSERVE: Our sentimental friend the moon! Or possibly (fantastic, I confess) It may be Prester Johns balloon Or." 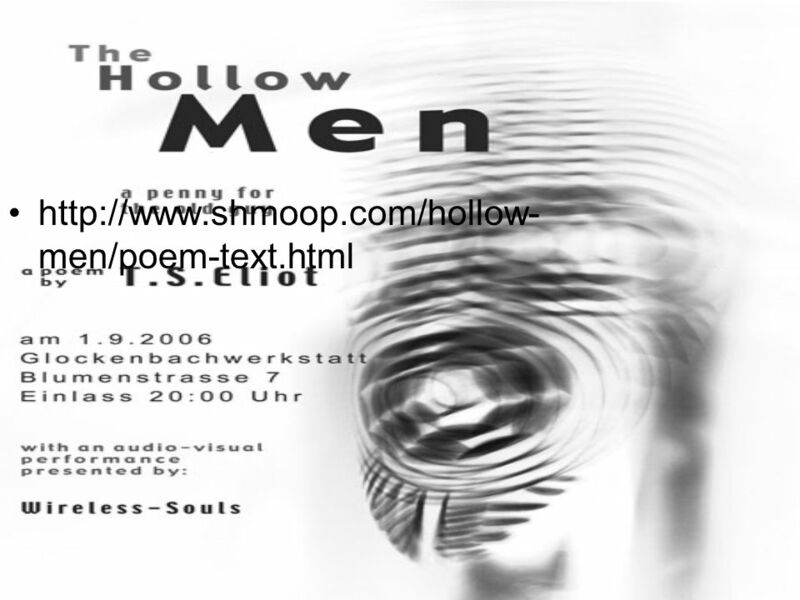 We are the Hollow Men We are the stuffed men Leaning together Headpiece filled with straw Although the poem has a direct allusion to the historical account. September January 1965 By Christina Smith. 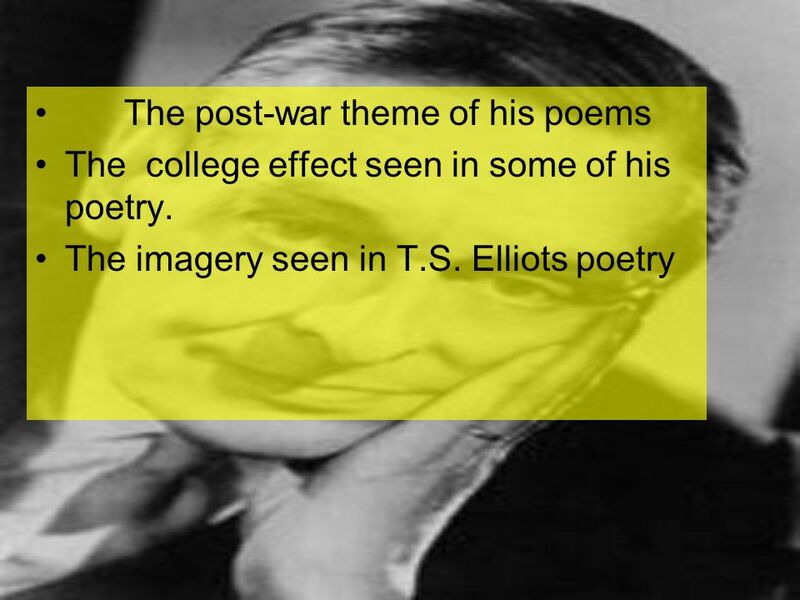 Born September 26, 1888 as Thomas Stearns Eliot Born in St. Louis, his family originally from New England. 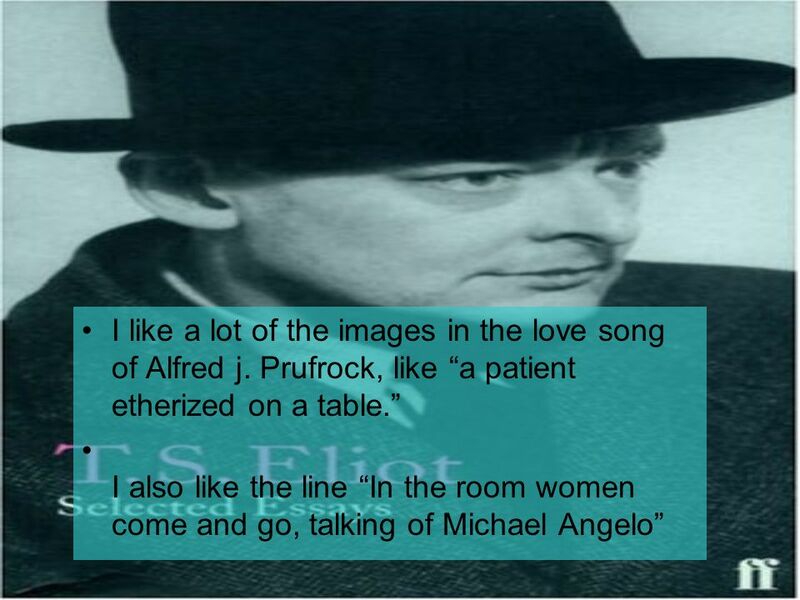 A Review MODERNISM, MODERN POETRY & OF MICE AND MEN. The price for our freedom has been paid.  What book of the bible is our verse from today?  What is freedom?  Who gave us the greatest freedom? God asked me to tell you... It has a beautiful song Turn your sound. Poem Analysis I’m Nobody! Who are You? Catcher in the Rye Analysis. Chapters Even though Holden “doesn’t feel like going into it” on page 1, what do you learn about him and his family. Robert Frost was born in San Francisco, California on the 26 th of March 1874 to Isabelle Moodie and William Prescott Frost Jr. Both his parents were. Father Rhine tells: Charlemagne‘s Favourite Daughter. By: Nick, Alex, Mason. John’s family including his dad and sisters died throughout his life. 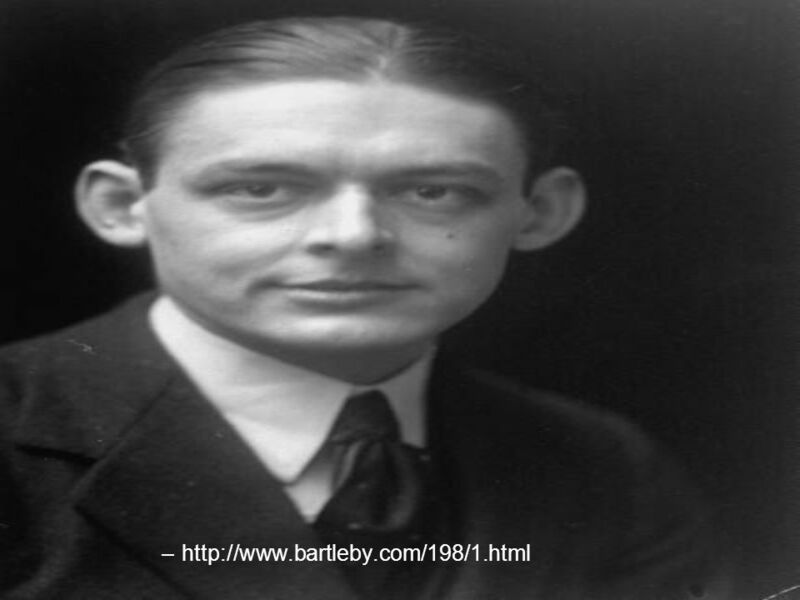 He wrote this poem after his wife died- giving birth to their. The youngest daughter By Cathy Song Presented by Amina Cormier.